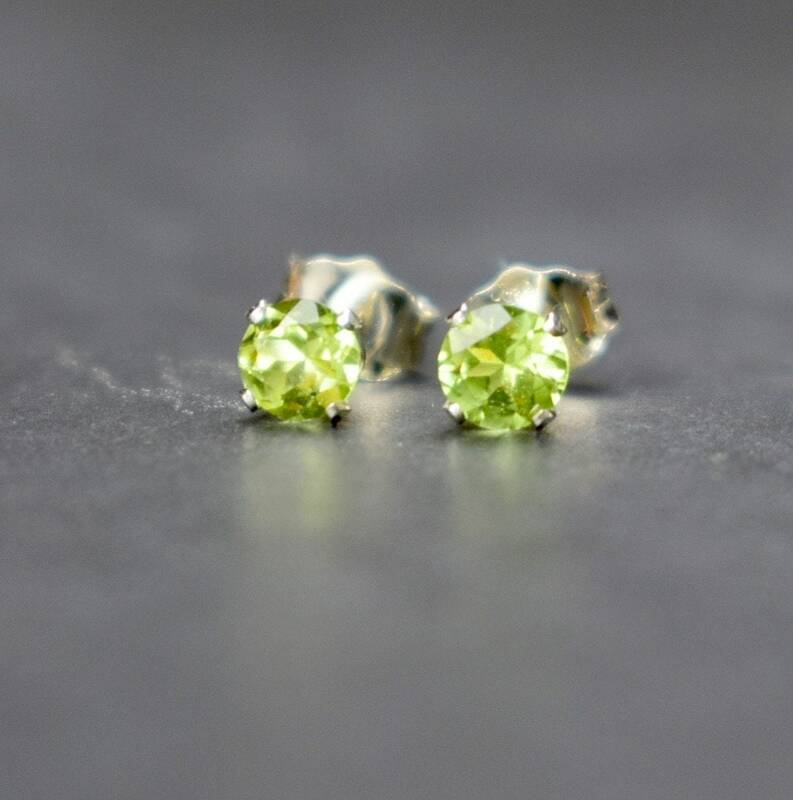 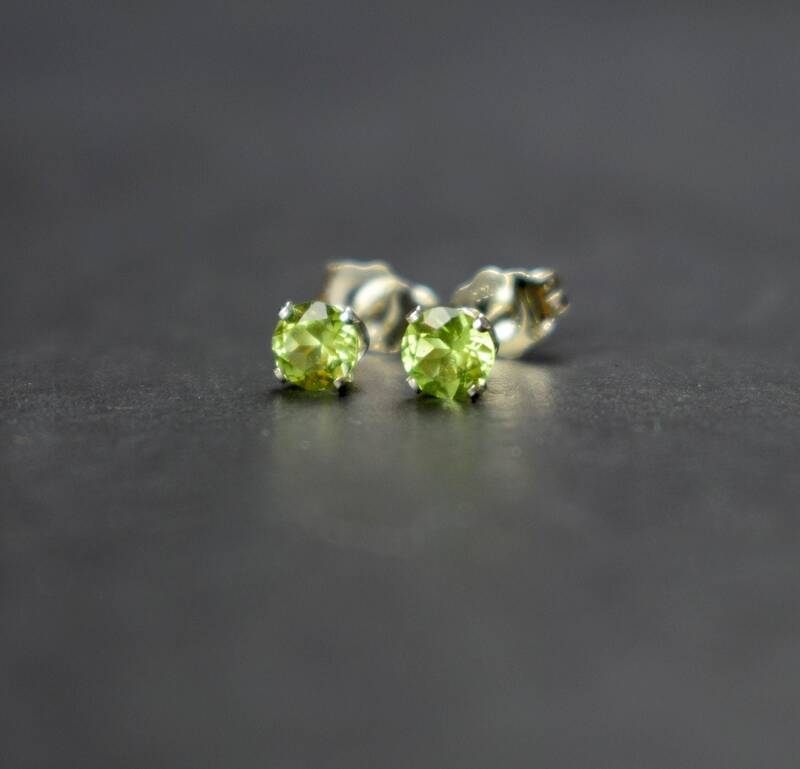 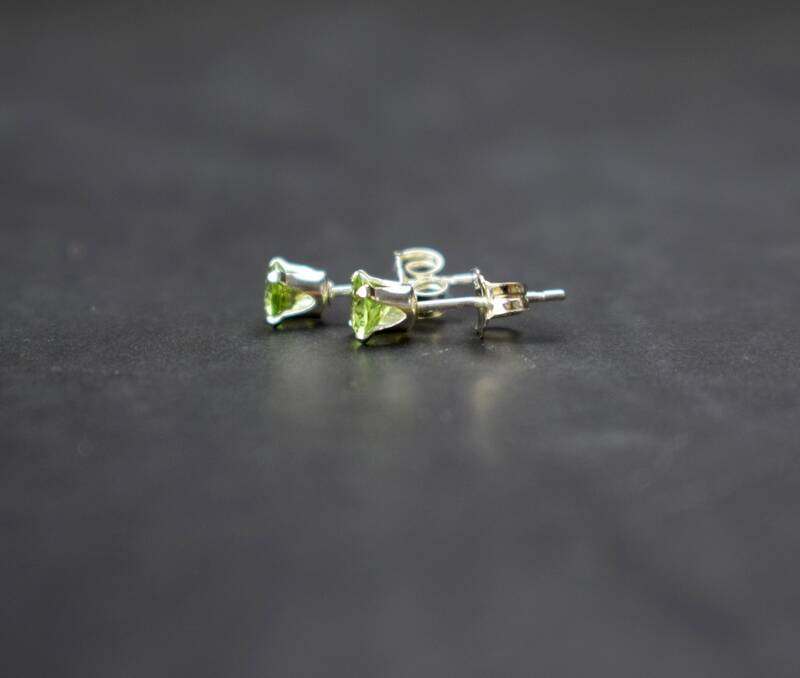 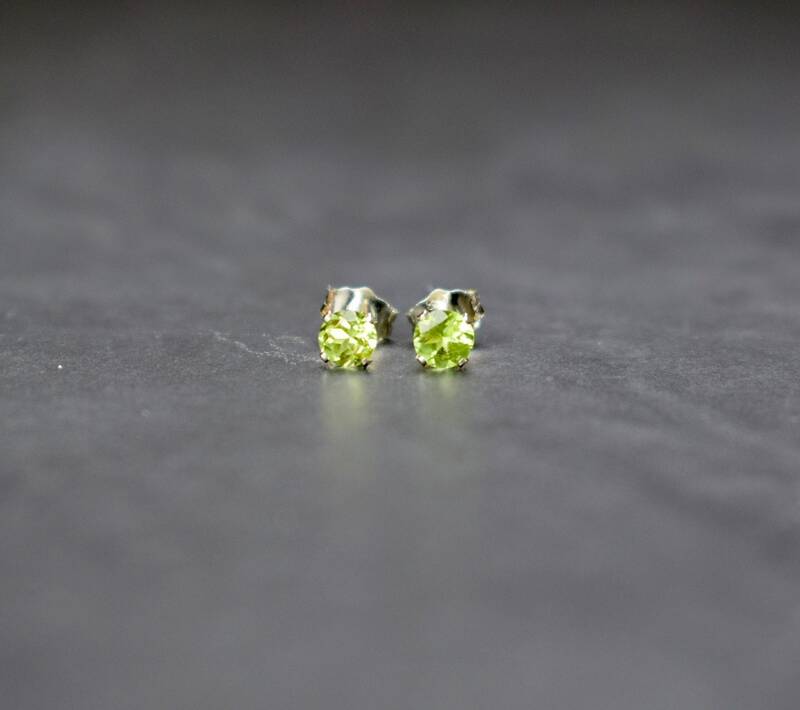 These chic little Peridot earrings are perfect for everyday wear while adding an extra touch of sparkle. 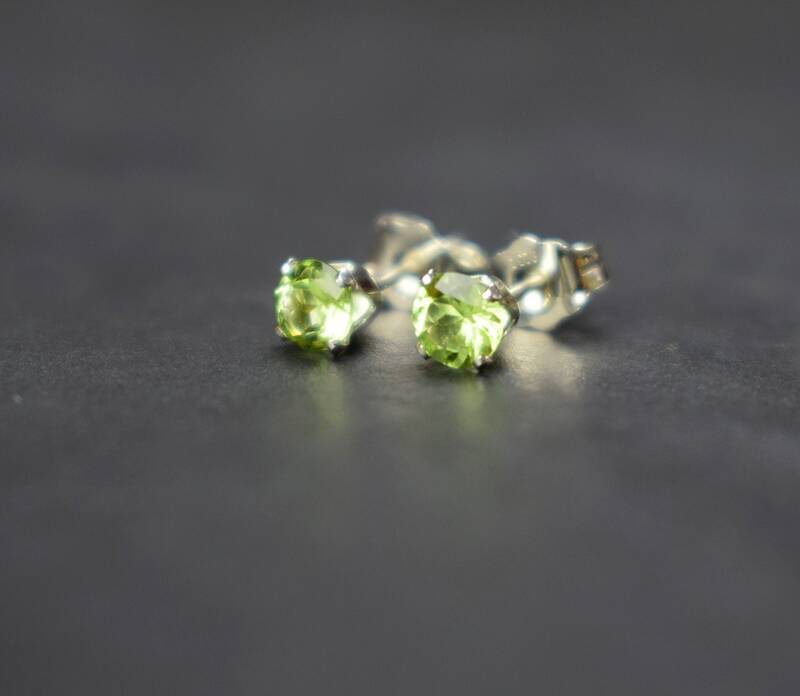 Designed with 4mm Peridot gemstones and paired with sterling silver claw settings, the studs have butterfly scrolls for backs which are also sterling silver. 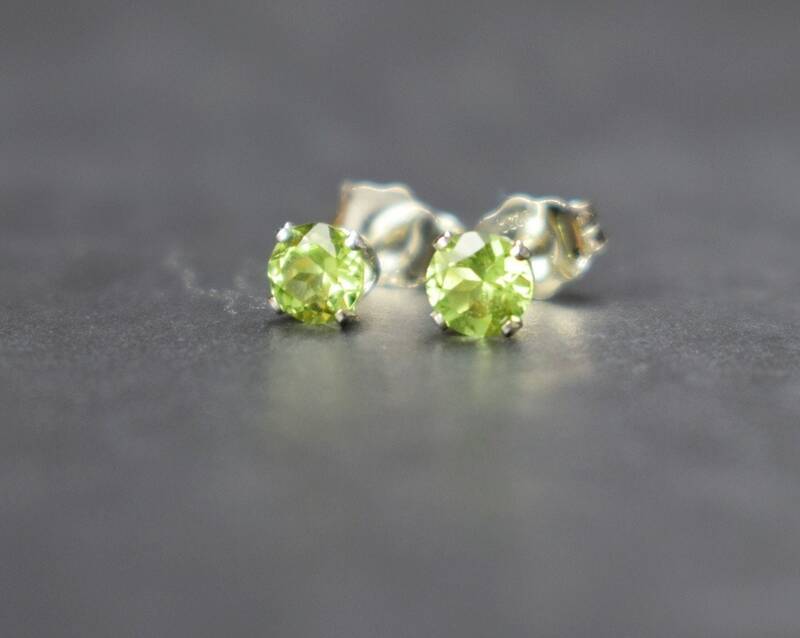 * The Peridot gems measure 4mm.